This blog post was supposed to go up at the end of August, but I didn't have a photo to go with it seeing as I was down in London so I had to wait till I got home so I could sort a photo out for it. But hey we are only 5 days into September so I thought I would still put this post up, as they say its better late then never! Every month I usually make myself a playlist up on Spotify that has anything between 10 to 15 songs on, and which are usually my most listened to songs during that month. 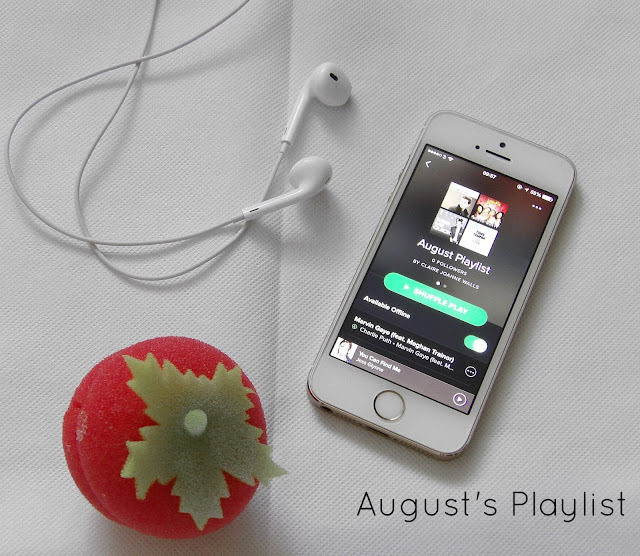 This month I only had 10 that I was really listening to so it was those songs that made August's Playlist. Charlie Puth is definitely one of my favourite artist's at the moment, I think he's got a brilliant voice and I will admit I've been binge watching all hes videos on YouTube just lately haha. I also love he's version of "See You Again", everyone will already know that he featured in this song with Wiz Khalifa but just he's version is amazing, I love the words in it! If you haven't heard he's version then click HERE to listen to the full version. The next one I wanna point out quickly is Rachel Platten, until this song I had never even heard of her, I kept hearing this song on the radio but never knew who it was by until a couple of weeks ago. I love the words in the chorus of this song and could easily listen to it on repeat. What are your favourite songs that are out at the moment, let me know in the comments below as I'm always looking for new songs to listen to.